HOUSTON – (Realty News Report) – Houston’s industrial real estate sector continues to be vibrant, thanks to a number of factors including an uptick in e-commerce distribution centers and logistics facilities. According to Colliers International’s 2018 second quarter industrial report, more than 12.3 million square feet of industrial space is currently under construction, much of that in the form of distribution and logistics facilities. In addition, industrial activity in the Houston Ship Channel continues unabated. To find out more about the outlook for the sector, Realty News Report talked with Mike Spears, SIOR, CCIM managing principal, Lee & Associates – Houston office. 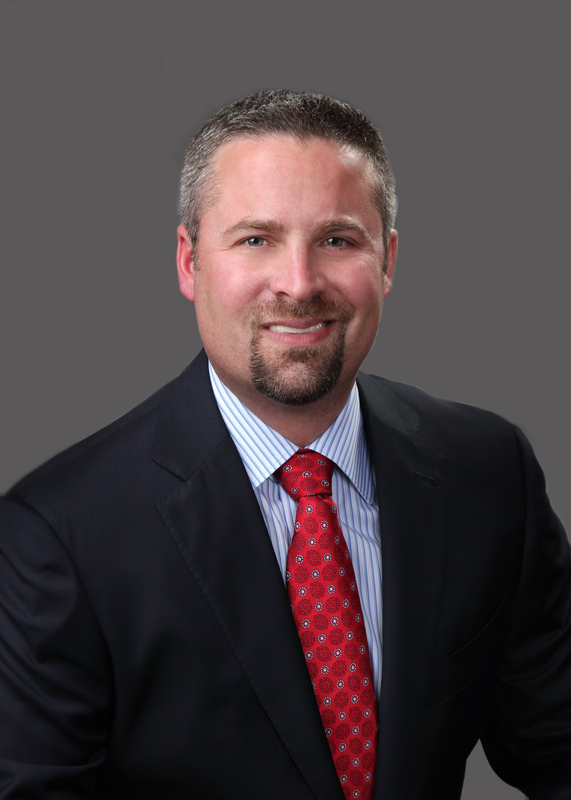 Spears manages the daily operations of the brokerage firm, Spears has played a vital role in some of the firm’s largest deals involving several million square feet and has established himself as an expert in the North Houston market area. Realty News Report: How would you describe the state of the Houston economy right now? Mike Spears: It’s currently great with room to grow. Our office is buzzing, and brokers are constantly giving me updates of what is going on in and around Houston. In the past, Fridays were quiet, with little to no activity, but now I see my group working past 6 p.m., which is an indicator that business is growing! Clients are expanding at a pace I haven’t seen in a long time. Activity is on the rise – similar to the days where brokers would tour properties and find two or three offers waiting on their desks upon returning to the office. Deals in Houston are being completed daily, at a very rapid pace. Realty News Report: What are the new trends emerging in Houston real estate now? Mike Spears: Real estate is back. Investing in real estate has always been a great opportunity for companies and small-business owners to build wealth. The energy business is flourishing, which creates a need for more space as various companies in Houston are expanding. Houston’s import/export business and Texas Medical Center are thriving as well. Many businesses are relocating to Houston because of the city’s business-friendly environment and Houston’s population growth continues to increase, creating new consumers for several markets. Houston is a slam dunk for companies who are tired of dealing with the hassle of acquiring permits, such as in states like California. I recently spoke to someone in California who informed me it took three years to get a permit! Houston’s land prices have also increased but are still not comparable to prices on the West Coast. Lastly, Houston is considered as a major manufacturing hub. Realty News Report: What will be the impact of e-commerce on Houston’s commercial real estate industry? Mike Spears: People are still buying online instead of in stores, so it’s going to hurt the retail sector. We’re not talking about a death blow, but e-commerce is going to change the square footage retailers lease. It’s not just Amazon that is changing the e-commerce industry. Many companies are realizing that there are large profits to be made online and if retailers don’t adapt to this trend, they probably won’t be in business much longer. But what I’ve learned is that for certain high end, luxury products, people like to go to the stores to see the item in person before purchasing the order online. The real estate industry is changing accordingly. This trend is a big positive for industrial because there is a need for more distribution centers, as well as a need for distribution space outside of the typical areas. The demands of consumers are pushing corporations to set up distribution centers within 10-20 miles of every rooftop. Another significant trend that will impact industrial activity will be the increase in jobs. The office market, on a macro level, is driven by where the jobs are – where there are more jobs, there is more need for office space. The industrial sector is driven by the availability of the labor force thus, you’ll see more development there. The industry is now creating a higher level of skill for the labor force. Amazon now has facilities with robots retrieving products and bringing them to a central location, which means the labor force for these types of warehouses have become more skilled. Instead of driving a forklift, an employee is required to know how to use various pieces of technology, such as computers to access products in the warehouse to assign roles to the robots. Realty News Report: Amazon, which purchased Whole Foods Market, is moving into the groceries business. How is that going to impact the commercial real estate market in Houston? Mike Spears: Whole Foods gives Amazon a gateway to the retail front. Up until this point in time, they haven’t had that. Whole Foods also gives Amazon a distribution outlet in a different form, and it will be interesting to see what they will do. Perhaps they will have a distribution area within the retail center to allow Amazon to load and unload items. This will also allow Amazon to ship items rather than just unloading them. This may result in larger stores and more distribution space for future stores – for instance, one-third more space for distribution. To accommodate Amazon, you might see slightly different retail center layouts with more warehouse and loading areas in the back. Realty News Report: A significant amount of warehouse space is under construction – a lot more than in 2017. Why is this occurring? Mike Spears: For one thing, the energy business is recovering and the oil and gas industry has figured out how to make a profit at a lower price point, which means there is a need for more space. Combine that with more e-commerce activity and you have a strong industrial market, especially in Houston. Manufacturing buildings that were empty in north and northwest Houston are now fully occupied and developers are beginning to build more. In addition, many developers are building large campuses across Houston for companies such as Exxon Mobil and FMC. Developers are scrambling to construct more buildings that can accommodate companies who want to be near these campuses. Population and e-commerce growth, coupled with a thriving energy sector, are all contributing to the overall growth in the industrial sector. Realty News Report: A lot of projects are under construction near the Port of Houston. Why is this happening? Mike Spears: The Ship Channel is booming. With oil and gas remaining inexpensive, the downstream industry is expanding, and downstream businesses are enlarging their facilities to export more product. We’re now seeing the plastics industry exporting increasingly more product to China, where they produce items and ship them back to the states once complete. For years, the Ship Channel has been an economic engine for Houston and over the next 15 years, we expect to see a dramatic increase in exports. The Ship Channel has been dredged and can accommodate larger ships with the expansion of the Panama Canal. We expect it to be even greater, with the Port of Houston becoming an even bigger operation than it is today. There are also many permits out for new LNG facilities, aside from the large amounts of LNG plants currently being built so that LNG products can be shipped through the Port of Houston. Realty News Report: Can you comment on the expansion of chemical plants and the production of raw plastic pellets? How has this changed Houston commercial real estate? Mike Spears: It’s created a demand for distribution space and what they are making in the chemical sector needs to be distributed. We continue to export and import products through the Port of Houston and the more we do that, the more we need larger warehouse space. There is also a continued demand for rail-served space. The premium for a rail served building used to be between 5 to 7 percent; however, today, with an increase in demand, that premium is upward of 15 percent. At this time, there is a scarcity of land for development. Realty News Report: Thinking about Houston’s growth in long term, what does the future look like for the city in the next 10 or 20 years? Mike Spears: In 20 years or so, I think we will see Houston as the third largest city in the U.S. – surpassing Chicago. Economically, Houston will become even more diverse. We’ve changed dramatically since the 1980s. When the price of oil dropped, we were able to sustain ourselves in a number of ways. If the upstream business is hurting, the downstream business is doing great. Furthermore, the Texas Medical Center houses some of the best researchers that could make a significant impact on the world, if they haven’t begun to already. Houston is becoming an economic engine that is going to drive the U.S! We’re the Wild West of business – people come here not only seeking jobs but really great jobs. Our population is increasing and we have room to grow even more, which is really exciting to be a part of.